On Saturday April 22, the Gympie Show Annual Ball took place. With the theme, “Golden Era” it was the perfect setting for the announcement of the 2017 Miss Showgirl. The night was a huge success according organiser and Gympie & District Show Society Secretary, Ms. Donna Dodson. Attended by approximately 220 people, attendees included Federal Member for Wide Bay, Llew O’brien and wife Sharon, LNP Member for Gympie, Tony Perrett and wife Michelle, Gympie Mayor, Mick Curran and wife Sue, Councillor James Cochrane, Councillor Mel Gear and wife Julie and Councillor Mark McDonald. A three course meal was served at the Gympie Civic Centre and the Dukes of Rhythm provided the night’s entertainment. 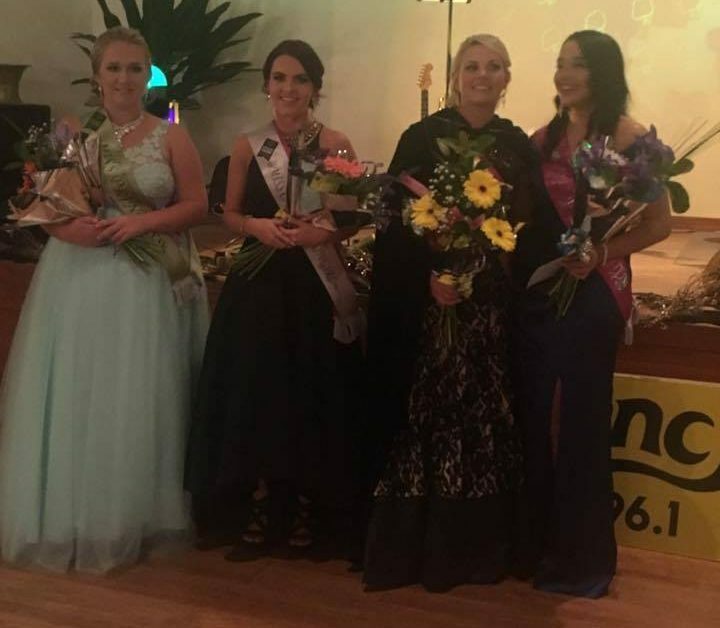 The anticipation was eventually allayed when Wendy Ward, Miss Beef, was awarded the crown as Miss Showgirl 2017 with Runner Up Miss Dairy, Karlee Dennien. Casey Armstrong was winner of Miss Show Princess and Georganna Williamson was Charity winner (ring) who raised $37,000 alone. The girls have been working tirelessly for many months in the lead-up to the Show Ball on Saturday night, holding fundraisers and awareness campaigns for their sector. Wendy is an active person and enjoys being involved in the beef industry. She has a strong interest in campdrafting and is passionate about rural industry and keeping the future of Queensland Shows sound for generations to come. After the announcement on Saturday night Wendy said, “I am very honoured to be able to represent Gympie at a regional level and I look forward to the next stage of this journey. 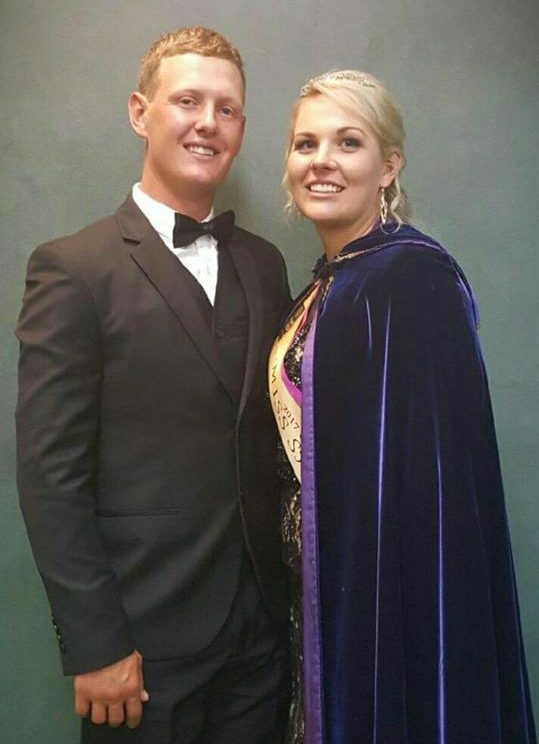 “I would like to extend a big thank you to the Gympie & District community, the entire Gympie Show Society, Karen Bazzan and Donna Dodson for being my rock, along with my wonderful friends and of course my loving family and partner Myles Newcombe for supporting me throughout my Gympie Showgirl quest. With less than a month before the 2017 Gympie Show opens its gates on May 18, there is much excitement in the air!